LONGMONT, Colo. - A Colorado woman accused of cutting open the belly of a pregnant woman and removing her unborn baby from her womb had told her family she was expecting a baby boy and had arranged to meet her husband for a pre-natal appointment on Wednesday, the same day of the attack, according to court documents. 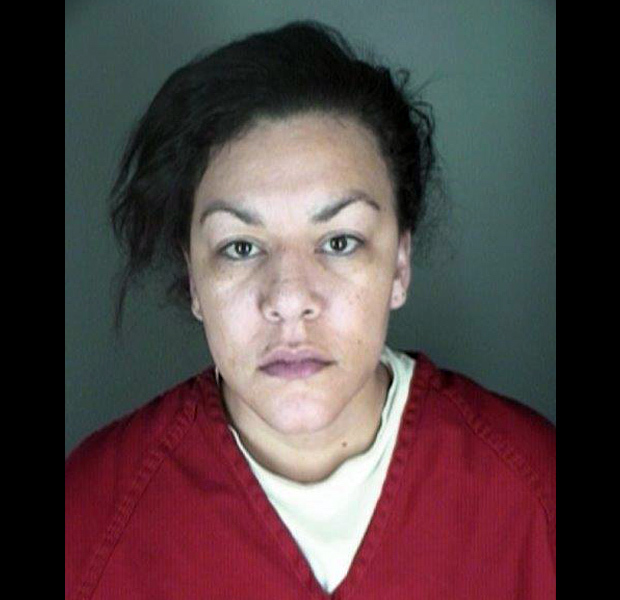 Dynel Lane, 34, had also previously lost a 19-month-old boy in a drowning accident in southern Colorado's Pueblo County in 2002, her ex-father-in-law, Aaron Cruz, said. Lane's current husband told investigators that when he came home from work early to meet her, he found her covered in blood, and she told him she had suffered a miscarriage. He said she showed him a baby lying in a bathtub. He said he rubbed the baby slightly and rolled the baby over and heard the baby gasping for breath before taking them both to the hospital. A doctor told investigators the incision in the mother's belly was well performed and would have required some research on Cesarean births, the documents said. Meanwhile, according to an affidavit for Lane's arrest, the baby's mother - a 26-year-old woman investigators say was lured to the home by a Craigslist ad for baby clothes- was still in the house. She managed to call 911 and police arrived to help her sometime after the Lanes left for the hospital. In a recording of the call, a woman with a dazed-sounding voice says she has been stabbed and pleads for help. "She cut me," the woman says, later adding, "I'm pregnant." "Please help me," she says. "Help, help." Police said the woman was alert and answering questions Thursday. District Attorney Stan Garnett said she was doing better than officials had expected. Lane was arrested at the hospital on suspicion of attempted first-degree murder, first-degree assault and child abuse knowingly and recklessly resulting in death. She appeared in court briefly Thursday to be advised of the possible charges against her. Under Colorado law, Lane could only face murder charges in the baby's death if the baby did indeed live outside the mother's womb, an issue that has been a controversial one in the state. Garnett said he will wait for the results of an autopsy on the baby, planned for Friday, to determine when the baby died and what charges to file. In a sign of how critical those issues will be, Lane's defense lawyer has asked for an expert to be present during the examination. Garnett would not comment on whether mental illness is a question in the case but said prosecutors were looking at Lane's history. Lane's ex-father-in-law said that she and her then-husband were devastated by their son's 2002 death. However, he said Lane seemed like a "fine parent" and relatives were shocked to learn she is accused of luring the pregnant woman to her home through a Craigslist ad for baby clothes and taking her unborn child. A July 2002 obituary for Lane's son, Michael Alexander Cruz, in the Pueblo Chieftan said the boy loved playing with his sisters, cousins and friends and had just learned to sing his first song, "Twinkle, Twinkle Little Star." Lane's then-husband wasn't home at the time of the drowning, the newspaper reported. She and their two daughters, then 5 and 3, searched for the boy until they found him in the fish pond. He had been playing with his sisters while their mother was busy in another part of the house, the newspaper said.